Preheat oven to 350 degrees. Place hot buttered toast on baking sheet. Separate egg yolks and whites, keeping yolks in half of the shell for later use. Beat egg whites and salt until stiff but not dry, and pile on toast slices. Make a well in the center of each pile of egg white. Slip yolk into each well. 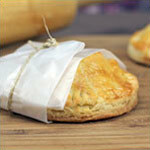 Top with 1/2 teaspoon butter or margarine. 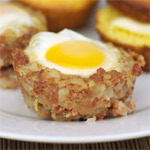 Bake 15 minutes, or until whites are lightly browned and yolks are set. Serve at once with salad, milk and fruit. Makes 2-4 servings. 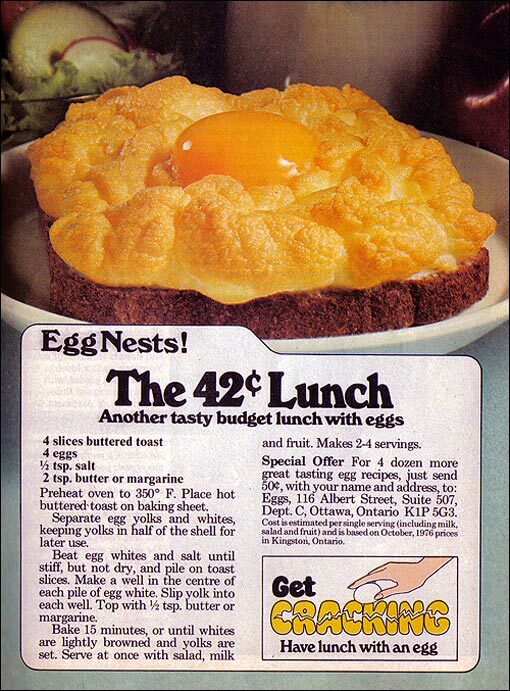 From a 1976 ad from the Egg Farmers of Ontario. 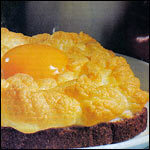 This is an interesting baked variation on the popular fried egg dish known as Birdies In A Nest or Egg In The Hole. 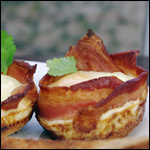 What do you think of Baked Egg Nests? Do you use melted butter to top it off? 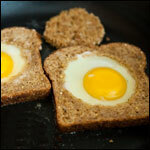 That was a fun, new way to have eggs and toast. I agree with the one comment about it looking nice, but tasting a little boring. Next time, maybe a little shredded Cheddar on top right after it comes out of the oven. Mr. B, my daughter can't stand anything about eggs but she made this for me on Mother's Day - what love! She noted, "You can't smell the sulfur odor of eggs when you make it." It is fabulously tasty, lightly salted, and wonderfully textured. Her choice of Italian sliced bread complimented the lightness of the egg yet offered a pleasingly contrasting soft crunch. The presentation impresses and delights. I couldn't imagine how she'd whipped it up! Thank you for inspiring my daughter! 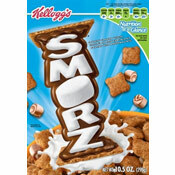 I found this to be a very nice Breakfast! Easy to make. Mine turned out JUST like the picture which was great but taste and texture were Forgettable. Bland and dry are the 2 things that come to mind... along with Do NOT make! It looked just like the breakfast picture! I liked how the white was crunchy and the yoke was smooth and creamy. I would recommend this recipe. This is crazy cool. I can't wait to make it over the weekend. I love when you find these weird (but usually awesome) old recipes. Keep up the good work!